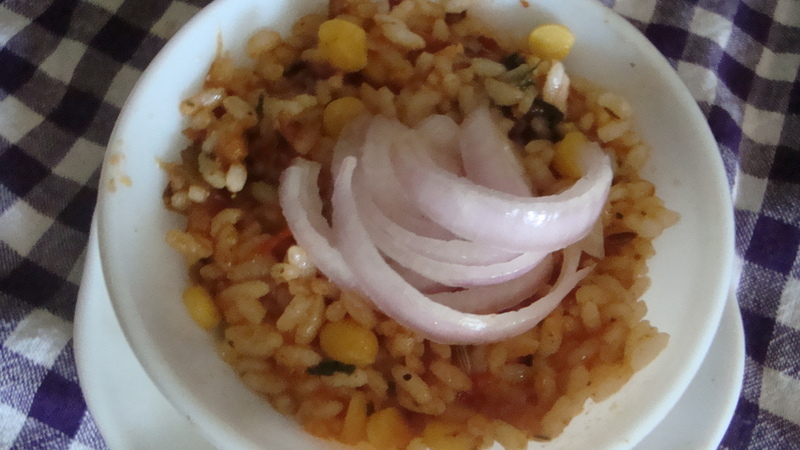 My mother wanted to have a rice series so I will be sharing some of her rice recipes starting today with tomato rice. 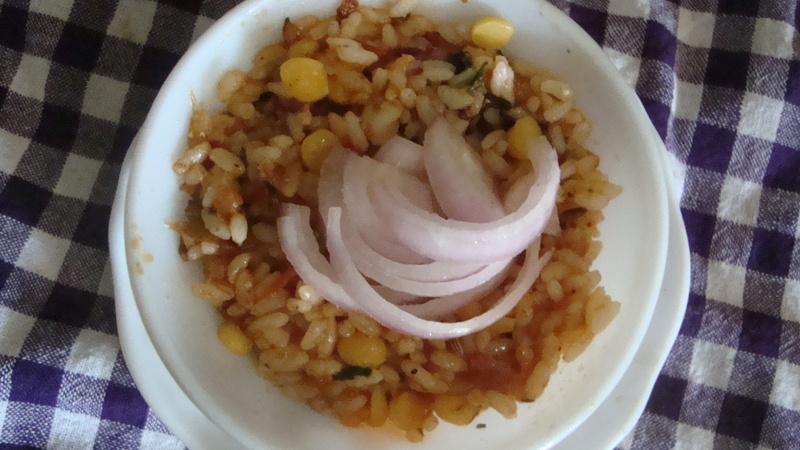 With each of the rice dish recipe, I will also be sharing a song or two by an interesting, contemporary Sri Lankan musician whose music I have enjoyed. Today’s featured musician is Sarangan Sriranganathan. Coming from a musical family, he has been on the Sri Lankan music scene for at least fifteen years. For today, I chose two video clips that I was able to find online. The first is an original composition by Sarangan – அவள் ஒரு மெல்லிய பூங்காற்று (literal translation: She is a light, fragrant breeze) featuring famous Indian musician Hariharan. Heat the oil and lightly fry the onion, curry leaves and fenugreek. Add chopped tomatoes and chilli powder and continue frying for a few minutes before removing from heat. Blend the cooled tomato mixture into a puree. Re-heat the puree in the pan adding some water, if required. Add the boiled rice and the fried chickpea to the pan and mix well. Serve with sliced onion or onion salad. 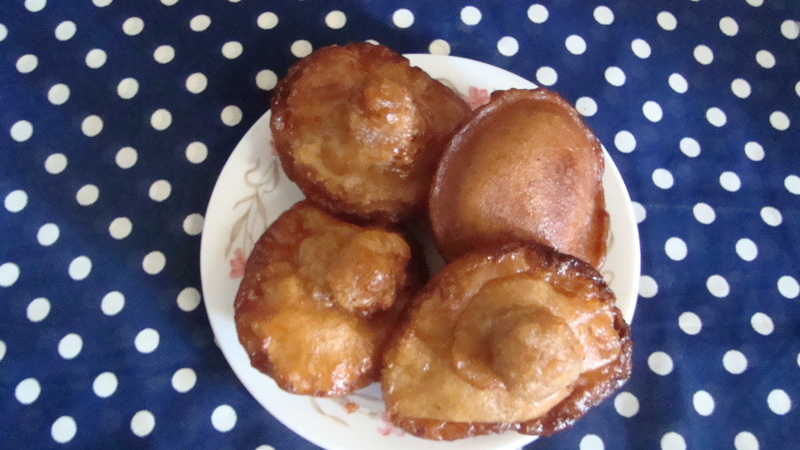 Today’s New Year traditional dish recipe is that of Kokis. 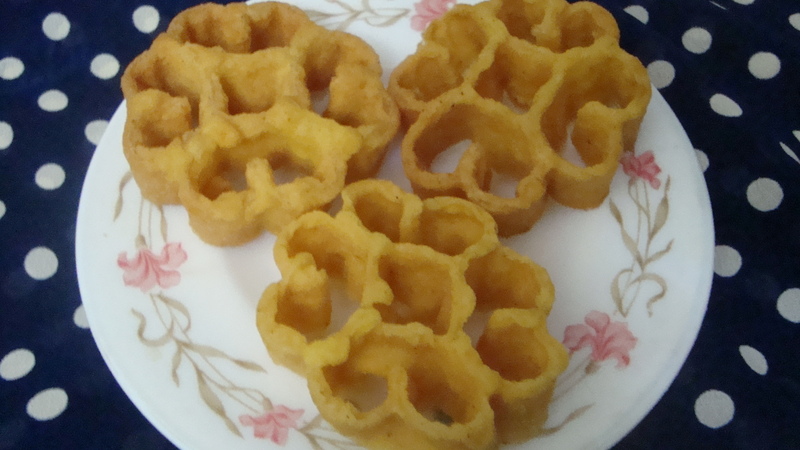 It is a type of fried cookie which I used to think was typically Sri Lankan. However, during my Indian culinary journey last year, I came across Ruchik Randhap’s Mangalorean cuisine site and there was a recipe for Kokis (referred to in Mangalore as Kokkisan or Rose cookies). One of my friends from Sweden, Malin, then informed me that kokis reminded her very much of the Scandinavian traditional cookies called Rosettes. I guess the cookie found its way to India and Sri Lanka during the Dutch era here. The only difference in Sri Lanka is that unlike in the rest of the countries where it is a very traditional Christmas cookie, in Sri Lanka it is part of the Sri Lankan New Year food (celebrated primarily by the Buddhists and Hindus in the country) and not part of the Christmas cuisine. Mix all the ingredients together to make the batter. Prepare the kokis mould by placing it in the oil until it is heated. Plunge the mould into the batter until it is coated and then place it in the oil pan. Using a skewer or pointed end of a spoon or fork, gently slide the kokis off the mould as soon as it starts to puff up and is easy to slide it off without crumbling it. Fry the kokis until golden brown and remove from pan. Repeat the process by heating the mould in the oil for a few seconds before plunging it in the batter. This allows the kokis batter to first coat the mould and then to slide off without sticking to the mould. It’s been two weeks since the New Year celebrations. 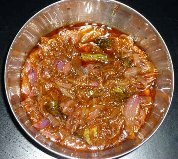 I asked a friend of my mother to share a few recipes of the traditional dishes she made during this time. She shared three of her recipes which I will be sharing this week. The first is Konda Kavum, a snack my mother is particularly fond of since her childhood. 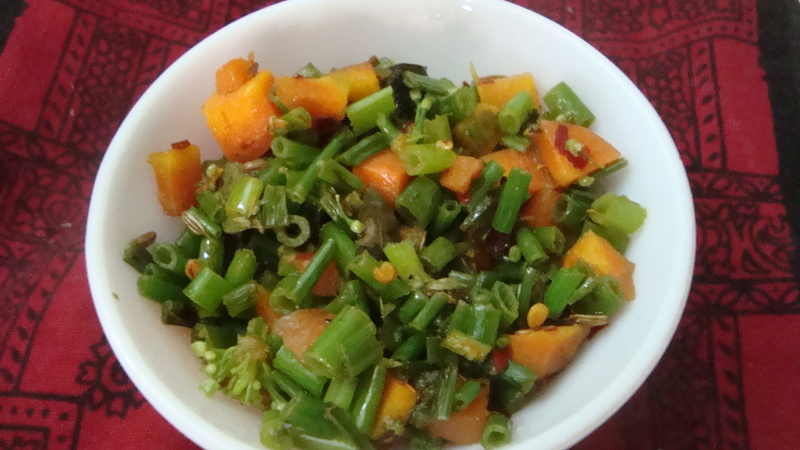 Today’s recipe is one of my mother’s quick and easy to prepare, delicious stir-fried dishes made with onion stalks and flowers/ vengaya poo. 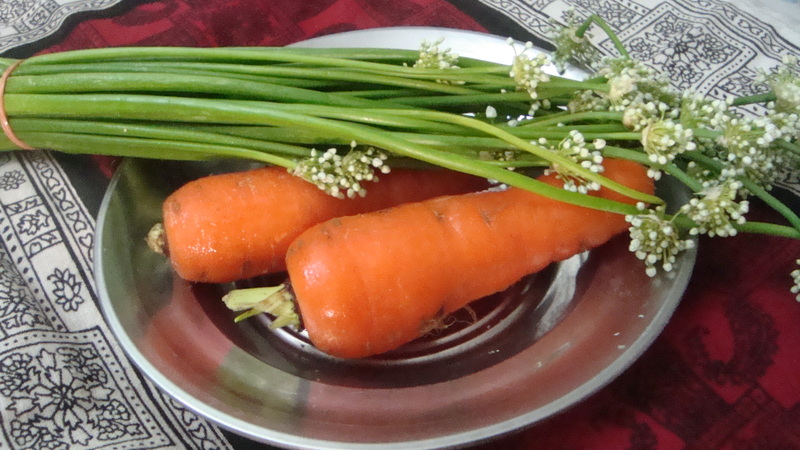 Clean the onion stalks and carrot and chop them into small pieces. Add some salt and keep aside. Heat 2 tbsp oil in a pan. Add the fennel seeds, chopped onion and green chilli. Fry for 2 mins. Add the chopped and salted onion stalks + flowers and carrots to the pan. Add 1 tsp crushed chilli and mix well. Cook for around 10 mins over low heat. Today’s guest blogger is Rushda (lìng yīgè tóngxué). She told me she prefers salads when it came to cooking. So, I asked her to share one of her successful salad recipes. I like experimenting with cooking and love to take up the challenge in making a dish out of whatever ingredients are available in my fridge when I decide to cook. I would also rather that someone else does the cooking and feeds me than do the cooking myself. Make the salad dressing by mixing olive oil, vinegar, pinch of sugar, mixed herbs and finely crushed garlic. Keep aside. Heat the cleaned and de-shelled prawns in a non-stick pan on low heat till it is cooked enough. Just sprinkle a bit of lime juice over it while cooking – don’t add water or oil while cooking. After the prawns are cooked and cooled, drizzle a bit of olive oil over it and sprinkle some pepper and salt over them. If salt is used here, it is not required to be used again in the recipe. Toast the roughly cut tomatoes in a wok or pan over low heat. 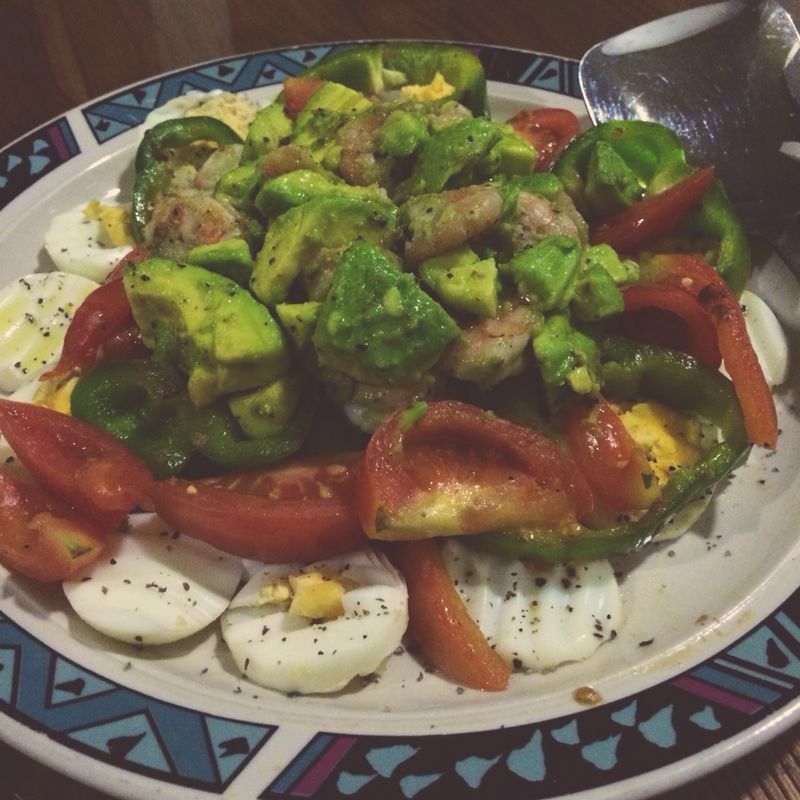 Meanwhile, slice the boiled eggs, bell peppers and cube the avocado. Assemble the ingredients on the salad plate, in an eye-catching way. Drizzle the salad dressing over the salad. 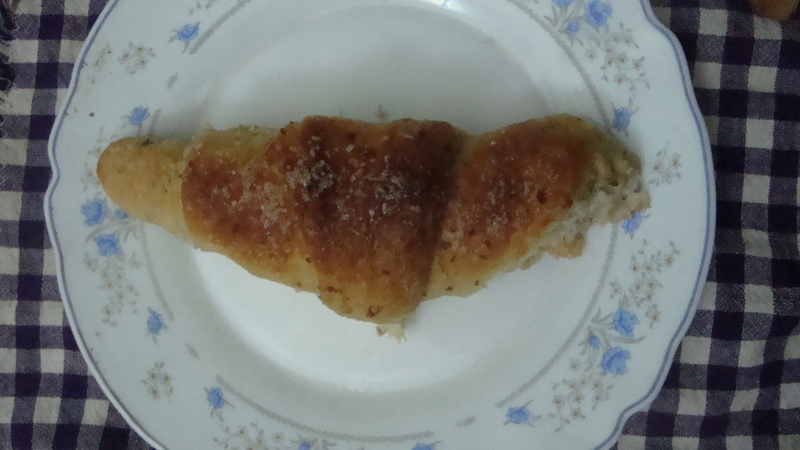 I think every bakery in Sri Lanka makes Kimbula buns. I first tried it out at my hostel canteen during my Peradeniya years and it became my regular breakfast along with a cup of coffee for the three years that I was there. 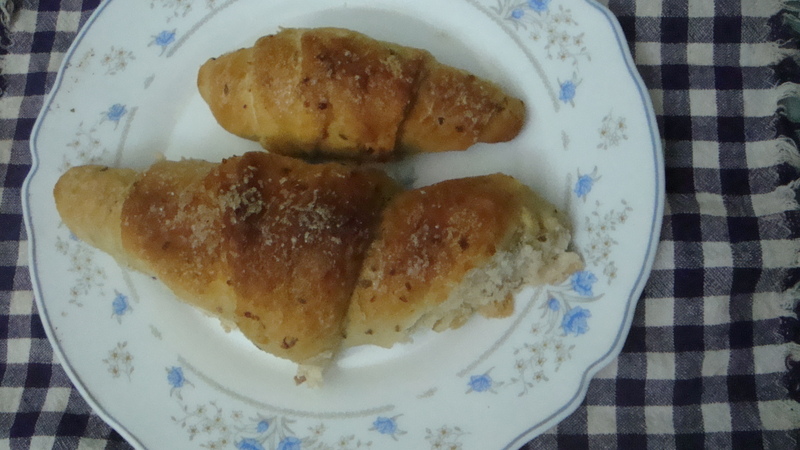 Kimbula buns – Kimbula means crocodile in Sinhala, is a crunchy sugar bun roughly sprinkled with sugar and has an elongated shape which earned it the name of one of the largest and common reptile in the country. Since I enjoy baking the most when it comes to cooking, I decided to try making some kimbula buns. I found a couple of recipes on the web and a couple of weeks ago, I tried out this recipe. While Lani and her daughter Lorena love the milky taste of it, it was not what I was used to or expecting and it simply had too much milk powder. So, today, I decided I would try my own vegan version of the bun, based on Kitchen Cici’s bread recipe that I had tried out and enjoyed, and see if it could come anywhere close to the taste that I was used to. The resulting buns were still not what you would find in the bakery but they turned out good and as close as I got to the actual. Add the sugar and yeast to a cup of warm water and let it rest for 10 mins in the mixing bowl. Roughly process the flax seeds with 3 tbsp water in a blender and transfer the mixture to the bowl. I didn’t process it to a fine powder. Add the margarine and ground almonds to the bowl. Mix well. Then, stir in gradually the flour ½ cup at a time, so that there are no lumps, until a smooth dough is formed. I was planning on using only 3 cups but ended up adding another 1 ½ cups so you may reduce or add more flour, as required, to make sure that the dough is not watery or too sticky. Cover the bowl with a clean cloth and let it rise for an hour. Punch down the dough that has doubled in size and transfer to a floured surface. Roll out the dough in parts, using a rolling-pin, so that it is easier to manage and cut out triangles. Take each triangle and roll it by hand, starting from the broader end of the triangle and finishing with the tip. 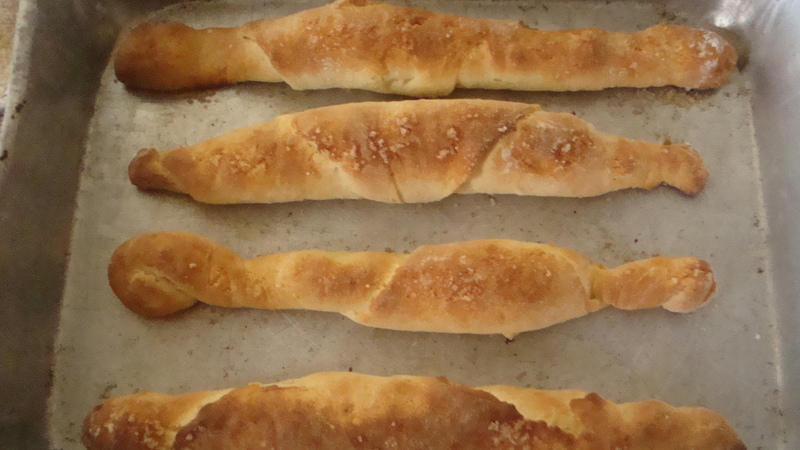 Arrange them on the baking tray and place them in the refrigerator overnight so that you can bake them in the morning. Preheat oven at 170⁰C/ 338⁰F for a couple of mins. Brush the buns with melted margarine and sprinkle brown sugar over them. Serve the buns fresh with a hot cup of coffee for breakfast.